A beautiful morning in the Eden-like Rose Garden at the White House in Washington DC, USA, home of the most-powerful man on earth. It is Friday, April 23, 2010. President Barack Obama, casually and in a carefree manner for a man of his status, steps forward for this naturalisation ceremony of active-duty service members. Among the 24 young men and women from around the world assembled here today is a 25-year-old Papua New Guinea, Granger Michael, who has already served three tours of duty in the deadly killing fields of Iraq. The feats of young Granger are already the stuff of legend among family and close friends both in the USA and PNG. His father, Graham, part Manam Island in Madang and Pila Pila in East New Britain and mum, Celine, from Panguna on Bougainville, shed quite tears of joy as Granger – resplendent in US Marine Corps colours – prepares to receive his accolade from Obama. “To America’s newest citizens - it is a great honor to serve as your commander-in-chief, and it is my greatest pleasure to be among the first to greet you as a ‘fellow American’,” Obama begins. “To you and your families, welcome to the White House. “Today is your day - a celebration of 24 inspiring men and women and the remarkable journeys that have brought you together on this beautiful spring morning to our nation’s capitol. “The paths that led you here began in more than a dozen countries, from Peru to Poland, from Kenya to the Philippines. “Some of you came to America as children, holding tight to your parents’ hands as you arrived in a new world. “Some of you came as adults, leaving everything you knew behind in pursuit of a new life. “And while your stories are your own, today we celebrate the common spirit that lives within each of you - a spirit that has renewed and strengthened America for more than two centuries. “We celebrate the love of family -- your moms and dads who were willing to say good-bye to their own families, their own countries, so they could have an opportunity to give you the opportunity you (sic) never had. “Like generations of immigrants before them, they worked hard. “They scrimped and they saved. “They deferred their own dreams so that you could realise yours. “So today is a tribute to their sacrifices as well. “And I would ask that you join me in honoring your moms and dads and the families that helped bring you to this day. “We celebrate the spirit of possibility - an ethic that says if you’re willing to put your shoulder to the wheel and apply your God-given talents, if you believe in yourself and you play by the rules, then there is a place for you in the United States of America - no matter where you come from and no matter what you look like. “We celebrate the true meaning of patriotism - the love of a country that’s so strong that these men and women were willing to risk their lives to defend our country even before they could call it their own. Granger Michael always displayed an interest in things military, according to father Graham Michael. Mr Michael, a former Washington DC-based PNG diplomat whose father is from Dugulaba village on Manam Island in Madang province and mother from Pila Pila village in East New Britain province, is married to Celine from Guava-Dapera village at Panguna, Bougainville. “We arrived in Washington DC on post in mid October 1997 when Granger was just 11 and a half years old,” he told me. “Throughout his upbringing, while on post, he was very interested in all things military and that includes guns, tanks, airplanes and all sorts of military equipment. “By age 13, his interest peaked and he decided to join the US Air Force's Junior Reserve Officer Training Corps (JROTC) at his school - Woodrow Wilson High. 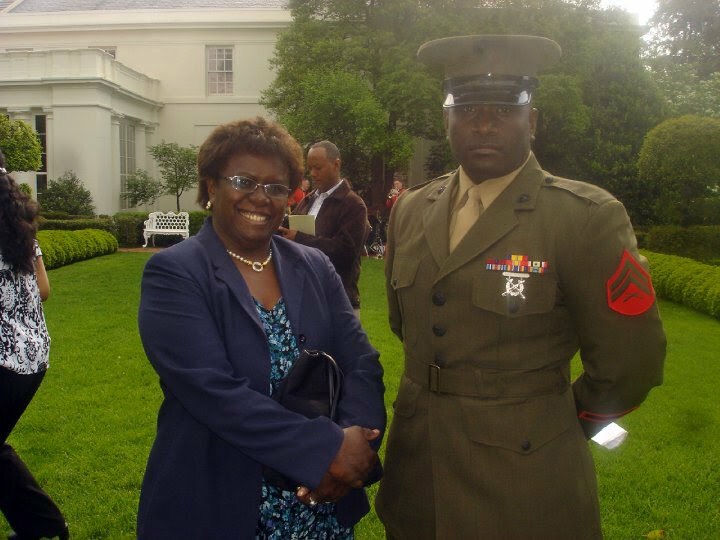 “After his year 12 graduation, he joined the US Marine Corps as a fresh recruit at the Marine Corps training depot at Parris Island, South Carolina. “The 13-weeklong training in combat warfare is the longest in any US military basic training and he eventually graduated with flying colours in mid 2004. 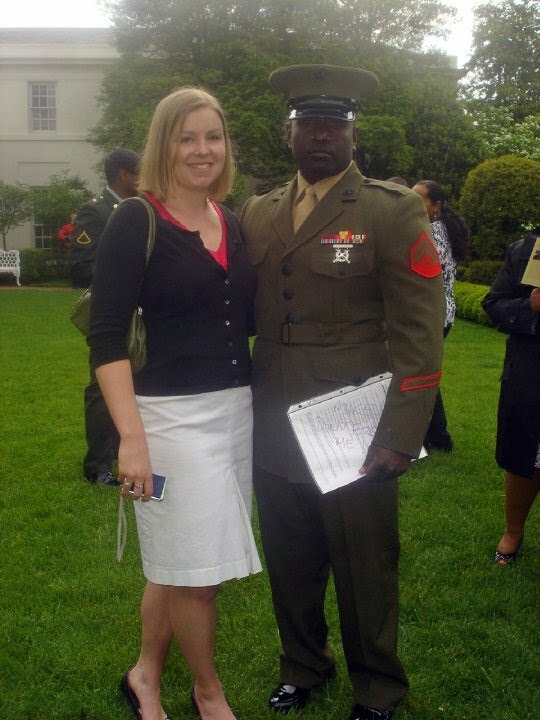 “After graduation he was transferred to his first unit at Camp Lejeune, North Carolina. Mr Michael said from there, his son was sent to Iraq on his first combat tour in late 2004. “He was deployed in Iraq in late 2006 for another six months stint. “His third battle deployment was from mid 2007 to early 2008. “Throughout his three tours of duty, Corporal Granger was an infantry team leader with Golf Company, 2nd Battalion, 8th Marines. “He served in Fallujah, Ramadi and other theaters where his Company was attacked multiple times by improvised explosive devices (IEDs). Granger’s 23-year-old brother Leon S Michael, second born after him, is also serving in the US Armed Services as an electrical engineering specialist with the US Air Force. He is currently attached to the engineering division at Travis Air Force Base near San Jose, California. “Our daughter, Renee W Michael, 17, is graduating year 12 in June and is looking forward to studies in environmental science at one of the local universities here in West Virginia,” Mr Michael said. “Apart from the two big boys, Renee and our two small boys - Graham J Nagora Michael II, seven, and Kebai S Michael, three - currently reside with us at home. “Although the two boys were born in Maryland and West Virginia respectively, only Kebai is a US citizen by birth. “Celine currently works as despatch officer with a large freight company here in West Virginia. “Although she earned her diploma in secondary education from Goroka Teachers College (now University of Goroka), she decided to change job when we first resided here as permanent resident. “She has been with this company for nearly five years now. “As for me, I am currently lead software design and developer in my Microsoft gaming business. “I started my software company - Pacific Islands Simulation - in mid 2008 and have so far published two Microsoft flight simulator software products. “I design and develop three-dimensional (3D) objects and terrain sceneries from various sources including NASA satelite images under the Microsoft gaming label for pilots flying aircrafts in real life and use these product as training tools. “The software genre is also meant for those who simply want to enjoy as desktop game to hone their skills in ‘computer flying’." “My interest in flight simulation software is obviously related to my background as pilot and longtime aviation enthusiast. “The two products are currently sold and received very well in Europe through shops in Germany and Belgium) Australia and Asia, and here in the US. “From the sales success thus far, I guess I may be the first Papua New Guinean to break into the highly-challenging software gaming business. But for now, the Michael family is so proud of their son and brother, Granger. “We are so proud of his accomplishments first as our son, second as a US Marine Corp serving and protecting US interests and aspirations abroad, and finally as family and friend to so many of you,” say Graham and Celine. Good afternoon to you all I would like to take this time to make aware to you all that cholera is now in Port Moresby. Just to remind you all, that this disease has the potential to cause a major epidemic in the city and its peripheries if appropriate control and preventive measures are not seriously taken in to consideration. This diarrhoeal disease can be fatal in at least 6 hrs from the onset of symptoms if immediate medical advice is ignored. · There may be vomiting or abdominal cramps. All these lead to very severe dehydration and death. The first thing to do at home is to drink plenty of water (coconut juice is very helpful) and seek immediate medical Attention at your nearest health facility. The good news here is that this disease can be contained and eradicated from an epidemic to an endemic state if simples measures as above a followed. If you do see or hear of an unusual increase in the above symptoms in association to diarrhoea in your areas, Speak to your Health Workers to immediately report to the National Department of Health Surveillance Unit for further investigation and verification. Outgoing New Zealand High Commissioner Niels Holm says the real wealth and strength of Papua New Guinea is in its people. Mr Holm, who leaves officially on May 27 after three years in PNG to take up a new post as Official Secretary to Government House, said this at a farewell function at his residence last night. His successor, Marion Crawshaw, arrives on May 28. “PNG has been a fascinating and rewarding posting,” he said. “It is a young country still working on shaping its institutions. “It is a land of great contrasts - with poverty and wealth obvious to the most-casual visitor. “But real secret is its people – a rich HR resource that constitutes its real long-term wealth when the copper and gold, the oil and gas are all gone. “Most impressive of all is that small elite group of Papua New Guineans who are determined to do all in their power to make their country function as it should and stand tall. “They seem immune to disappointments and just get up again after every knock back. “I take off hat to them. Mr Holms said he and wife Suzette would take home many memories to New Zealand, some of the fondest being election day in Kundiawa 2007, glorious scenery of the Highlands Highway from Mendi down to Hagen, desolation of Arawa, volcanoes in Rabaul, snorkelling in Alotau and letters of hope and appreciation from some of those in remote areas whom the New Zealand High Commission had been able to assist. “But the most-abiding memory is the toughness, resilience and determination of ordinary Papua New Guineans to cope with the demands of daily life, with that famous PNG smile,” he said. Mr Holm said bilateral political and military relationships were strong with New Zealand hosting many PNG students, some of whom returned to join the now 230-strong Kiwi Alumni Association. “Our bilateral relationship, I am happy to say, is going strong,” he said. “While we may not have the intimacy or scale of engagement with PNG of our big neighbour (Australia), we have always had an excellent understanding with PNG’s leaders and in particular a shared perception of how the Pacific might address its problems. “Trade is less strong, but we are hoping to change that , our first trade commissioner in a decade is here this week talking to officials and traders on how New Zealand can return to a market we have neglected. “Last week we had an outstanding official visit to New Zealand by Prime Sir Michael Somare, which reconfirmed the bilateral relationship at the most fundamental level. “The Prime Minister met New Zealand leaders, members of the PNG community, and had various contacts with Maori and discussions of their problems. I refer to an article in today's Post Courier titled 'Bill delay...'. Yes, there's been a change of 'tact' on the part of some leaders, but it seems it is still business as usual? If the amendment to Section 27(4) has already been passed and is now up the Speaker, what chance is there of rescinding it? If Mr Malandina now wants more work done on his Amendment, why didn't he first check it out with ALL the stakeholders and circulate it publically and widely prior to introducing it into the House? Surely this is an attempt at 'smoke and mirrors' and further obfuscation of Mr Malandina's true intent? What is the government's view on this? Clearly it supports the entire Amendment and is only waiting for the current furore to die down. I hope those who are trying to have the Amendment withdrawn are not to be fooled. _____________________ Article in today's PC: News Friday 30th April, 2010 Bill delay . . . By JONATHAN TANNOS NON-government organisations yesterday made a breakthrough in getting the chairman of the Parliamentary Committee on the Ombudsman, Moses Maladina, to agree to delay final debate on the controversial Constitutional amendments. But Mr Maladina now faces the daunting task of convincing the Government caucus lead by the Leader of Government Business, Paul Tiensten, to allow for it. This is in order for them to make supporting changes to the amendments or review the proposed changes to the Organic Law on Duties and Responsibilities of Leadership and the other Constitutional alterations. The breakthrough came through an open meeting with leaders of the NGOs led by Transparency International PNG, Community Coalition Against Corruption, the Churches and Women's Councils plus others led by National Capital District Governor, Powes Parkop. In a change of tact Mr Maladina has invited most protesting groups including lawyers, senior citizens and students to sit down with him and go through the changes. But he has also made it clear that he would not be withdrawing the bill, as it was already the property of Parliament and any changes would have to be integrated with current amendments on final approval by the government caucus. "The last thing I want to do is withdraw it," he said. "It's in Parliament and I want to make the changes there." Yesterday's open meeting was the first opportunity for the NGOs to hear from Mr Maladina first hand clarifications over the many misunderstandings and misinformation relating to the amendments. For many there it was a relief when Mr Maladina explained each specific amendment when they were given the opportunity to voice their objections on each one. On the most controversial one - Section 27(4) of the Constitution - rescinding the directive powers of the Ombudsman Commission, Mr Maladina told them it had already been passed and was only awaiting certification by the Speaker. And instead of the expected confrontational approaches to the meeting all parties found themselves being tasked by Mr Maladina to carefully scrutinize their own proposed changes and improvisations to be presented to his committee for consideration. "I myself want some more work to be done on the changes," he said. "There's a lot more work to be done." Mr Maladina said it was the responsibility of the Ombudsman Commission to protect the integrity of leaders "not having a prosecutorial attitude." Mr Maladina gave the working committee representing the NGOs to come up with their changes by Monday next week. He gave assurance that there would be debate on the floor after the additional consultations have been held. Where is Governor Parkop coming from? Central Provence Governor Parkop has offered to be a 'peace broker' between those opposing the Malandina Amendment changes and Malandina. In this he has exhibited an example in the finest traditional manner of a PNG leader offering to sit down and talk a problem through. In this, he is to be commended. What this offer unfortunately does however, is to cloud the 'central' issue to the extent it may be overlooked in an apparent public attempt to create harmony and prevent discord. Also, can one assume that Governor Parkop, as a member of Parliament, originally voted for the amendment in the first place, since there were no dissenting votes? So could this be a veiled attempt to divert a show of solidarity against this legislation? If the planned protests do not go ahead, who will know what level of resistance there is against this Bill? Who can say there was any real attempt to stop this initiative from going forward? What is Governor Parkop's stated view on what he supports and what he doesn't? If there are to be no public demonstrations because it might disturb the flower beds, is this the new basis for preventing any future public gatherings? There definitely needs to be a halt to the proposed Bill. But the Bill first needs to be withdrawn and then everyone take a step backwards. Proper, orderly and public debate can then take place by both the PNG government, the Opposition and all interested bodies before any changes are made to the PNG people's last line of defence against corruption and malfeance, there own Constitution. 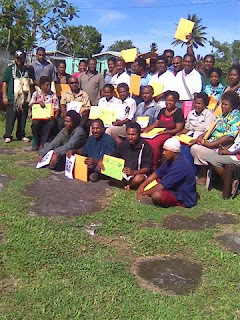 NCD Governor Powes Parkop has volunteered to organise a meeting between NGOs and Esa'ala MP Moses Maladina to discuss the proposed changes to "weaken" Ombudsman Commission powers. Mr Parkop said yesterday he was playing the middleman because did not want to see the planned protest march led by NGO group, Community Coalition Against Corruption, go ahead. He quashed suggestions that he was on a panel that was going to defend the proposed amendments suggested by Mr Maladina, who is the chairman of the select committee on the Ombudsman Commission. "I have arranged for civil societies and non-governmental organisations to meet with Mr Maladina come to a solution. "If they do not settle their differences here, then there is always room to continue their dialogue for the best way forward," Mr Parkop said. He said that he did not want Port Moresby residents to march or protest on the streets because a lot of money had been spent on Port Moresby's beautification "and we all know that people have the tendency to destroy things," he said. Mr Parkop said the meeting would also allow for rational debates to be carried out without emotions and yelling and shouting. "The proposed amendments all have merits and must be scrutinised properly. Some of them, I agree, should be changed and some I don't. "The public need to know that, basically, more power will be given to the Ombudsman Commission than it had before". "One such proposed amendment is for heads of departments to be closely scrutinised like Members of Parliament under the Leadership Code. "This was opposed by the OC because they felt that they would now be doing the job of the Department of Personnel Management. "This and the others all needed to be debated properly so that everyone understands what will happen next." In the first voting of the proposed amendments, a majority of the MPs had voted for it only to see the public respond negatively. It has been given a three-month period in which all public opinion be gathered for consideration and presentation for voting again in the next Parliament sitting after the three months. "I appeal to the public not to stage protest marches. If nothing is resolved after today, and if their will be a petition for a next meeting, then I am willing to facilitate this again," Mr Parkop said. Follow the link below and read about an article on Rountable on Sustainable Palm Oil (RSPO) published in Reportage Enviro. Since the University of Goroka (UOG) was established in 1997, it has had 17 Japan International Cooperation Agency (JICA) volunteers, which included eight juniors and nine senior volunteers. They have especially been involved in the ICT department, several technical fields of the Science Faculty and teaching Japanese language. I was the first person to attach to UOG to set up the Library Automation System at the old library and this was the first point to set up the campus-wide computer networks (UOGNET) at UOG. 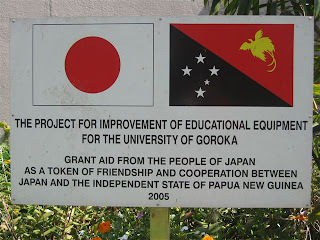 During my volunteer period from 1997 to 1999, the people of Goroka including UOG staff and students looked after me very well and I didn’t feel I had left my home country Japan. My mother in Japan passed away in May 1999 and the Iufi-iufa village people asked me to make her tomb at the village in her memory because she wanted to travel to Goroka before she died. My father and I travelled to Goroka with her ashes to make her tomb and this was first time my father visited Goroka. Japanese Government assisted with a lot of technical/ non-technical assistance through JICA to UOG after my volunteer period expired. For example, they donated over K10 million worth of education improvement equipment including computers, science lab equipment, library bookshelves, etc, in 2005. Since JICA started sending Japanese language teacher to UOG, there have been so many students and staff who could get into basic Japanese conversations like Kon-nichiwa (hello), Arigato (thank you) and Sayonara (see you). In October 2000, one of my best rugby friends in Goroka passed away in the bush on the border of Eastern Highlands and Gulf provinces. Iufi-iufa village people and I hired a light aircraft and speed boat at Purari River, dug up his body from the ground and brought it back to Goroka. His family was very pleased and named me Russell after him. After my volunteer period expired, I thought of ways to repay the village people and the people of Goroka for their kindness. Since 2001, my family in Japan has invited some young village people to study life in Japan. We have already invited three boys, including Paul David Barora, a younger brother of the late Russell to study Japanese culture from 2002-2005. After he completed his studies in Japan, he joined a tourist company (PNG-Japan) in Port Moresby and became a tour guide. He can speak Japanese very fluently. 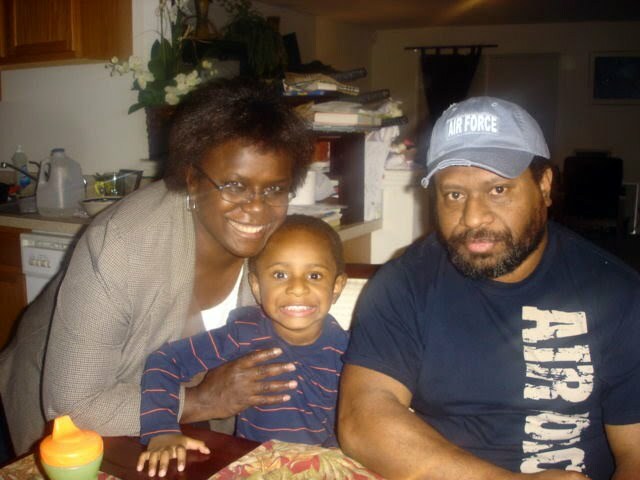 In May 2006, I married a Papua New Guinea woman of Gulf and Morobe parentage and we now have two boys, including an adopted 18-year-old boy. Last year, we lost our three-month-old son to and unknown illness and we buried him next to my mother and late Russell’s tomb. Since December 2007, I have been working at UOG as an ICT manager to develop the ICT facilities at UOG. I have many connections with the people of Japan and last year we received 53 sets of used computers from Kyoto Computer Gakuin (KCG) School in Japan and set them up for student uses. One of our new computer laboratories for post-graduate students is called KCG Lab. The UOG is the only government institution for tertiary education in PNG, so I believe from the starting point here, we can provide a better education for future generations. 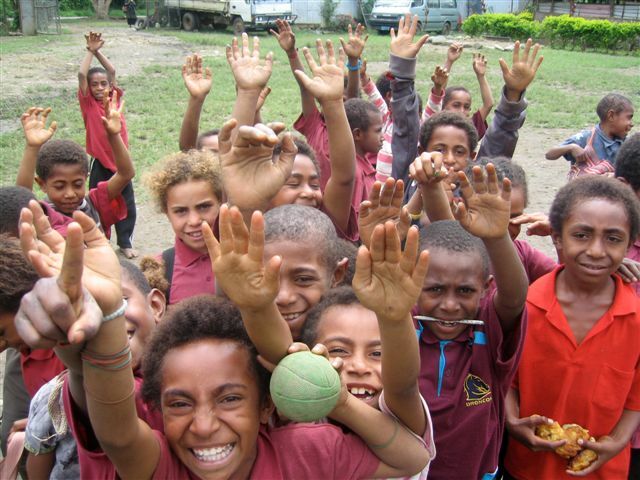 I am deeply concerned about education in PNG, which is why I became a board member of North Goroka Primary School and Iufi-iufa Primary School. Many Japanese friends have donated learning material include school textbooks, dictionaries, sports equipment and computers. During World War II, many Japanese troops died in this beautiful country, PNG. We cannot forget this sad contact between PNG and Japan, but we are looking forward to see a bright future for both countries. I have already applied to become a citizen of PNG and I am awaiting response from the government. My future dream is to set up a technical high school in Goroka and to invite Japanese technical people to come and teach Papua New Guineans. I really want to become a bridge person between two countries at grassroots level. You may wish to look back through at viable nation states of the various sizes throughout history. They all had some form of farm tenure that allowed the farmers to support the entire society, and the leaders recognised this in the way they ran the state. The farmers may have been treated badly but they were the underpinning of the state. Papua New Guinea is built from the top as an artificial democracy; the farm system is still the result of thousands of years of isolation. Sustainable farming is built on a permanent and stable farming system. From this base we may develop a stable government. In PNG most of our politicians are joined at the hip in their greed for aid money and the money from external exploiters of PNG resources. My point is that, until there is a big change in the farming system away from shifting agriculture, the whole country is based upon exploitation. Developers exploit the minerals, fisheries and forests. The PNG farmers exploit the soil; they exhaust the soil and move on to a fresh area. This is the situation that has to change before our society changes. A week is a long time in politics as they say. Isn't amazing that Sir Mek is now reported as saying that the PNG Opposition was confused about the Malandina Amendment and didn't understand what was involved when they voted for the Amendment 83 - 0. This was due to the government rushing through the Bill he claimed? So now it is argued that the change to Section 12 of the Constitution allows further changes to the PNG Constitution but Sir Mek says no one said anything about that change when it happened. Well blow me down. Could it be that no one understood previously, what they were voting for? Finally, I wonder what Sir Peter (emi no lus) highlighted in the Sepik Highway Trust Funds report in the article below? I also wonder who was in charge of the Trust Fund? VARIOUS speakers agreed yesterday that the proposed amendment to the Leadership Code that would weaken the powers of the Ombudsman Commission be withdrawn until proper debate and consultation were conducted. At a National Research Institute seminar, Chief Ombudsman Chronox Manek, chairman of Transparency International PNG (TIPNG) Peter Aitsi and Opposition leader Sir Mekere Morauta spoke in opposition to the changes. Sir Mekere said despite the general feeling that the amendment was wrong, laws in general should be changed if they were going to benefit the public. staff from the Ombudsman Commission (OC) office. "Laws should, at times, be reviewed and changed as long as those changes protect and promote public good,'' he said. Lawyer Peter Donigi said in 2006, a change was made to section 12 of the Constitution which allowed Members of Parliament to alter parts of the Constitution. He said in 2006, nobody said anything regarding that change. Mr Donigi also pointed out that Parliament had the power to alter, but not amend. Former parliamentarian Sir Pita Lus urged the OC and TI-PNG to work effectively. He also told public servants to do their jobs properly. "Yupela gat knowledge tasol nogat wisdom (you have knowledge but no wisdom). "Nau ol hevi i kamap, na kantri bai go we nau? (now we have corruption, where is the country heading?)" While calling on the OC to perform its role, Sir Pita also produced a copy of the report on the Sepik Highway Trust Funds as an example of the kind of work that the OC needs to attend to. OPPOSITION leader Sir Mekere Morauta has strongly opposed the widely-criticised Ombudsman Commission proposed amendment. He called on Prime Minister Sir Michael Somare to withdraw the bill and set up an advisory group to assess the people's views on the amendment. "Given the strong stand taken by the public and the difficulty in dissecting the proposed amendment to argue and support some, but not all of them, the Prime Minister should withdraw the bill on the first day of the next sitting," Sir Mekere told a public seminar at the National Research Institute yesterday. "He should immediately set up an advisory group to assess the views being expressed by interest groups and the public." Sir Mekere said the group must be wider than the Maladina parliamentary committee and could have Esa'ala MP Moses Maladina as its chairman. Other committee members could be Chief Ombudsman Chronox Manek, reputable constitutional lawyers and representatives from the PNG Council of Churches and the Community Coalition Against Corruption. "Leaving it entirely to the parliamentary committee to review the amendment is like asking the inmates of Bomana to withdraw the bill on the first day of the next sitting," Sir Mekere said. He said secretariat services to the committee should be provided by the constitutional development committee and the group's terms of reference should be confined to the amendment. They should also report to the PM in three months, the Opposition leader said. our constituents to the bill. "We have to recognise these views and deal with them." A panel of speakers including Sir Mekere, Mr Manek and Transparency International PNG chairman Peter Aitsi were invited to give their views on the proposed amendment to the Leadership Code and whether it was necessary or dangerous for PNG leaders. Sir Mekere said he was among those who voted in favour of the proposed amendment when the Government, without any proper debate or briefing, tabled it on March 9. However, since then, he has rescinded his stand after studying the proposal. "I do not support the amendment after being made aware of the wider legal, political and ethical issues surrounding the proposed bill," he said. Sir Mekere said the Opposition voted in support of the amendment in the last sitting because of lack of information and knowledge. "The Government provided no detailed explanations and, true to its form, ambushed Members with the vote," Sir Mekere said, accusing the Government of treating Parliament like a rubber stamp without providing or allowing proper briefing and debate on the issue. He also levelled the same attack on the Attorney-General, the constitutional development committee, Maladina committee and Ombudsman Commission (OC), saying they had left everyone stranded because of no accurate public information and clear explanation. He said the Opposition had sought a meeting with the OC to help develop a position before the next sitting of Parliament. Prominent lawyer Peter Donigi told yesterday's seminar that the Government could use the law to its advantage and pass the amendment next week. He said there were no specific provisions under the Constitution barring it from doing so. THE Ombudsman Commission is the people's only hope for a better and transparent Papua New Guinea, chairman of Transparency International PNG (TIPNG) Peter Aitsi has said. Mr Aitsi, who is also the co-chairman of the Community Coalition Against Corruption (CACC), said the people they spoke to during their awareness on the proposed amendment to the Ombudsman Commission (OC) law and its implications on governance have expressed great concern and deep anger. "Most stated that the OC was their last hope. "They have lost confidence and faith in police; and the Public Accounts Committee was seen as a 'toothless tiger'," Mr Aitsi said. He said their lack of faith was justified given many recommendations and referrals from the various commissions of inquiries that remained unresolved to date. According to Mr Aitsi, the public response was overwhelming and many spoken to were "sick and tired" of countless empty promises by the Government. "They equated the lack of services directly to corruption and, thus, wonder why the Government and Members of Parliament were hell-bent on weakening the powers of the OC in the face of growing misuse and theft of public monies," he said. abide, uphold and enforce the laws emanating from the Constitution without fear or favour. "Moses Maladina (Esa'ala MP), in my view has not respected the process undertaken by the constitutional planning committee (CPC) of 1974 and has been contemptuous of the important role accorded to the OC by the committee," Mr Aitsi said. To someone who regularly peruses the Papua New Guinea media and internet blogs, there seems a constant steam of queries as to why 'someone' doesn't do 'something' about the situation in PNG? At Independence, PNG had a system of government imposed on it that was never designed to cope with today's massive amounts of corruption and malfeance at all levels of government. In 1975, the present situation was inconceivable. The structure of government checks and balances was therefore set up with a totally different mind set. Clearly the current PNG regulatory bodies are unable to grapple with the size and nature of the problem otherwise it would not have been allowed to develop into what it is today. Unfortunately, most people will not contemplate doing anything precipitative until it affects them personally to the point where they cannot possibly continue to put up with what is affecting them. Unfortunately, this often where the problem has gone past where it can be fixed without a total and drastic, last resort solution. The traditional PNG culture of group discussion and social cohesion that was so effective in a village based society seems to now be exacerbating rather than helping the current impasse. Without a culture of individual leadership and decisive action, talk sometimes becomes the ultimate point past which many people are not prepared to go. So is this quirk of human nature about to condemn PNG to a period of total collapse and social dysfunction? Isn't it about time that a new generation of PNG 'tough', who have had enough of the current farce in PNG government, start to get going? The time is fast approaching, if it hasn't already arrived, when no one will be able to stop the coming implosion and its inevitable results . More than 20 local farmers in Manus (pictured) have attended a week-long, low-cost local feed-making training. The training was held at the Chauka Conference room in Lorengau last week. The aim of the training was to utilise local resources to produce stock feed as currently commercial stockfeed is very expensive. 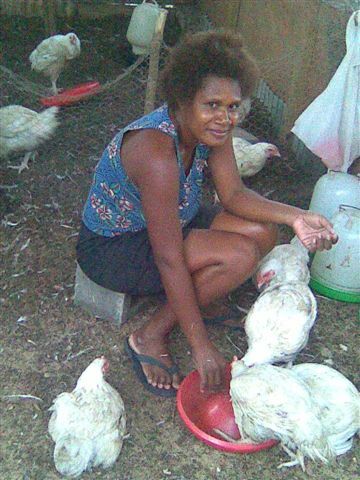 Dorcas Popan is very busy feeding her six-weeks-old chickens at Ward Two in Lorengau, Manus province, when I catch up with her. Ms Popan said chicken meat was in very high demand in Manus. "I can also see that it is a good business,” she says. Issues hampering the development of Papua New Guinea women rest within themselves, according to food technologist Dr Jane Ravusiro. She said women cried for equality and respect from male counterparts, and yet, they lacked co-operation, respect and most importantly the determination to support and push women issues to another level. “Gossiping about and discouraging ourselves is prevalent,” Dr Ravusiro said. Dr Ravusiro, a food technologist with the PNG Cocoa Coconut Institute, highlighted this during the PNG Women in Agriculture Development Foundation roundtable talk at Bubia in Lae recently. ‘To empower the 90% of PNG women in rural areas, we need good teamwork with positive attitudes with respect for each others’ opinions,” she said. “Only than will women’s voices become strong and men will realise that rural women are a great force with a voice contributing to the development of this country. “Let us not blame men for our weaknesses. “We should appreciate their support since most men are not as bad as many women would think. Dr Ravusiro was speaking to about 23 registered groups and 12 associate members of PNGWiADF, covering 13 provinces and representing 3,000 women networks, who participated in the forum. The women shared a strong commitment to make a difference in their agricultural practices and wellbeing through knowledge sharing and information exchange, training and practical support. With the theme ‘Recognising Women’s Agricultural Innovations through Dialogue’, the forum was an initiative of the PNGWiADF to gain recognition of its role as the voice of women in agriculture. The objective of the forum was for PNGWiADF to bring rural women’s voice to the attention of key stakeholders, donor partners and line government agencies which participated and collectively develop a strategic plan for women in agriculture. The strategic plan was drafted by members representing various registered groups and it echoed and complemented other plans such as NARI ‘s Strategic Plan 2006-2015, National Agriculture Development Plan (NADP), Medium Term Development Strategy 2005-2010 (MTDS) and Millennium Development Goals (MDG). The success of achievements of PNGWiADF has been through effective partnerships and relationships it has established through building trust with its partners within the country and internationally. Networks were developed and relationships established with ACIAR, Crawford Fund, Australian Women In Agriculture, Minister for Queensland Primary Industries, Forest and Regional Australia Tim Mulherin, Parliamentary Secretary for International Aid Bob McMullan, Community of South Pacific, Commonwealth of Learning – Canada, US Embassy in PNG, NZ Aid, AusAid, NARI, National Department of Agriculture and Livestock, and the private and the public sector in PNG. President of PNGWiADF, Maria Linibi said, the relationship and trust of these organisations and individuals has enabled the organisation to set the foundation for a new era in the development outcomes for the rural majority. 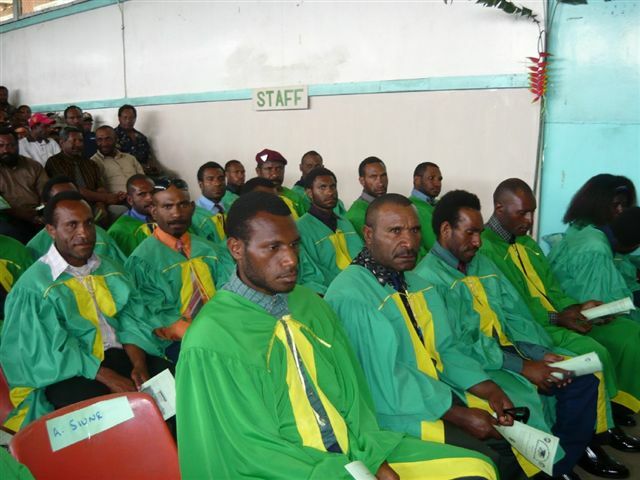 Highlands Agricultural College (HAC) in Mount Hagen is offering agribusiness management training courses for the general public. The college, operated by the Department of Agriculture and Livestock (DAL), has invited people working in agriculture and livestock industries and others to apply. The agribusiness management course was formerly known as the plantation management training programme (PMTP). The objective of the programme, reintroduced at the college three years ago, is to produce skilled graduates for the plantation sector and train field supervisors, cadet managers and graduates for family estates. HAC acting principal Philip Senat said the college played an important role in conducting training for the agricultural sector workforce. He said the demand for such agricultural training was high due to the growing agriculture sector and its importance as the backbone of the country’s economy. He said training of agricultural workers was an important activity being carried out by DAL through the college. The college has in recent years introduced short to medium-term training programmes on specific agricultural topics besides the post-certificate diploma (PCD) in tropical agriculture. This is to enable more agricultural workers and school leavers to be trained or refresh their knowledge and skills in agriculture. Mr Senat said this year, in addition to the pcd programme and certificate in agriculture farming, the college was also offering the agribusiness management course and participants would receive certificates in operational skills and management skills. The courses are for plantation field supervisors, didiman store workers, assistant farm workers, co-operative farmers, and self-employed farmers. These applicants must have minimum qualification of Grade 10. A certificate in management skills course (year two) is also available for those graduates who have successfully completed the operational skills course with PMTP under agribusiness management programme. Course participants will be required to pay tuition fees and other fees, set by the college. Boarders for the management skills course will pay a total of K1, 750 while day students will pay K1, 110. Operational skills participant boarders will pay K1, 550 and day students will pay K910. The courses will commence on Aug 30. Mr Senat said that unfortunately the college could only enroll a limited number of students during the year. This is due mainly to limited accommodation facilities. He urged interested people to contact the college on 76982419, 5202381, 5202384, or 76982417.